Interested in working at RUBIROX? We have a position available. Due to the volume of applicants anticipated we are only able to respond to successful candidates. We have a great opportunity for an enthusiastic and energetic Senior Sales Assistant with drive and passion for the jewellery retail environment. 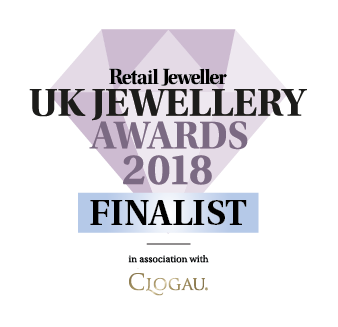 Representing top jewellery brands, the candidate must have a love and knowledge of fashion and jewellery, immaculate personal presentation, confidence, flexibility and the ability to offer the highest standards of customer service. To assist customers with the selection of products, to determine their needs and respond accordingly. Meeting individual and store sales targets. Providing excellent customer service at all times: answering queries and giving advice. Merchandising and replenishing stock as required, whilst maintaining high shop floor standards. Supporting the store manager where needed and to help lead the team. Operating the tills, handling financial transactions including refunds and following cashing up procedures. To undertake cleaning and housekeeping duties as and when required. To be enthusiastic and take pride in your work at all times. To actively seek opportunities for improvement and to take responsibility for development. Continually develop an understanding of the company’s products, culture and ethical initiatives, incorporating this into everyday performance. Excellent communication skills: having the ability to initiate contact and communicate to clients and the team in a professional manner. Lead by example: setting high standards through your behaviour. Strong selling skills and a positive, “can-do” attitude. To be confident working autonomously and as part of a team. To be assertive to the needs of the store and the customers. Salary: Competitive + bonus opportunities.